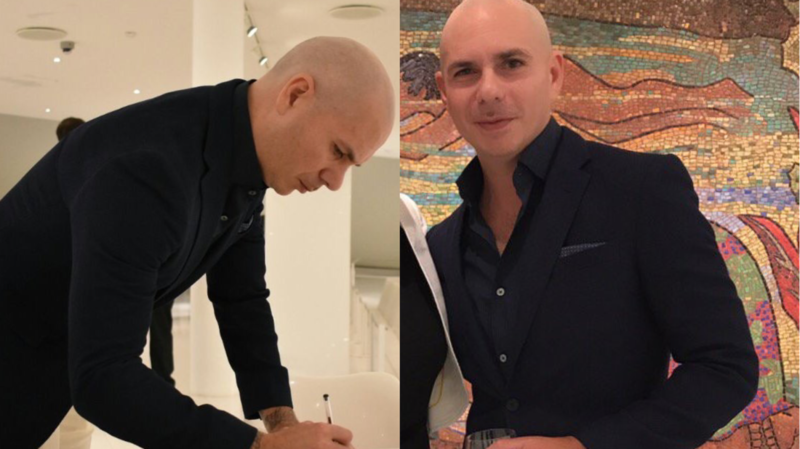 After speaking at Mexico Siglo XXI in Mexico City last night, Pitbull was spotted at El Museo Soumaya. While at the art museum, Armando toured the exhibits and signed the guest book. He also posed for a picture with UnoTV host, Maggie Hegyi.